Now available. 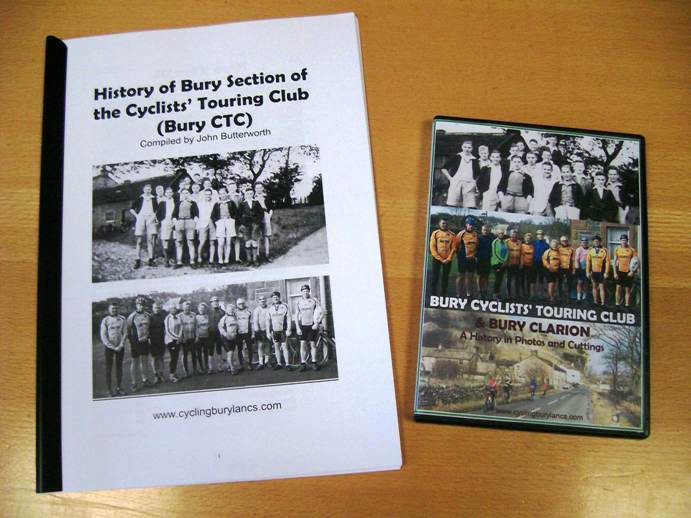 A 132 page history of Bury CTC in pdf format with 21 pages of photos free on request. 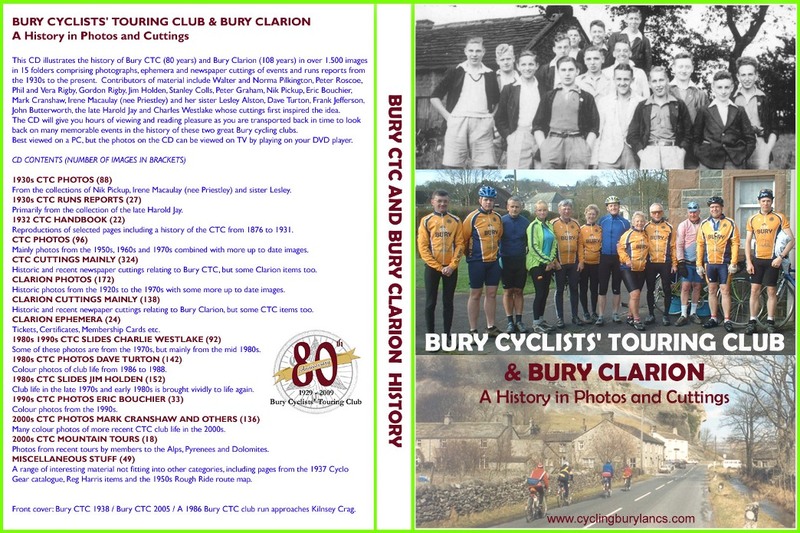 Also a CD featuring over 1500 historical photographs, newspaper cuttings and ephemera of both Bury CTC and Bury Clarion (see cover reproduced below). This available for £5. Bury Clarion cover version also available (CD content is exactly the same). All proceeds towards cost of production and website administration. Contact John Butterworth to place your order.